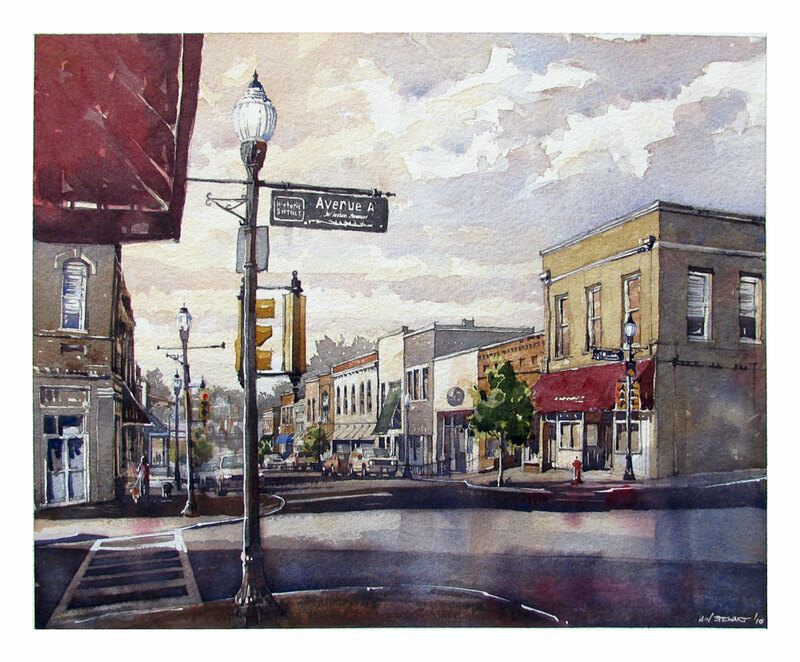 I rely on instinct a great deal and my sketchbook when selecting subjects for my paintings. The lion’s share of my work is done in one sitting as my real struggle in painting is to capture the initial vision for any given piece. I am most often motivated by capturing a definitive lighting condition and how it influences shape and value rather than faithfully representing the subject as witnessed. 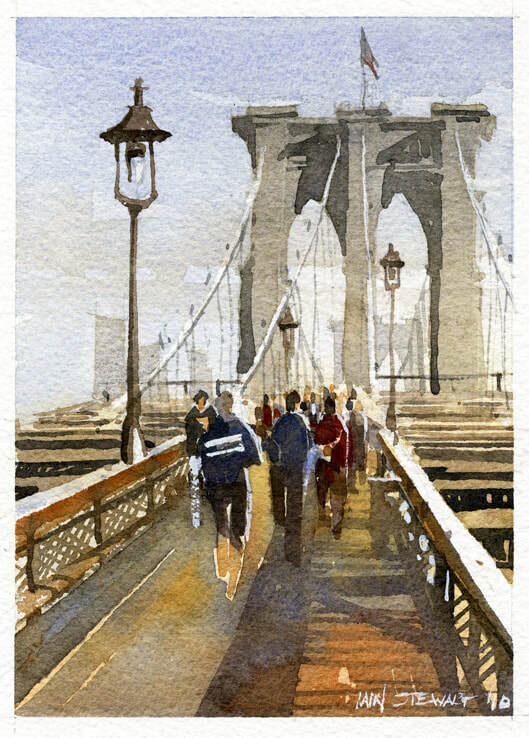 Watercolor is uniquely suited for this task as “light” is reserved from the first brush strokes and must be protected throughout the painting process . The underlying narrative in my work is not based on any theme in particular but quite simply how “place” is inhabited and used daily. I often use remembered atmospheric and lighting conditions in my work and would say that I paint from life and memory simultaneously. My watercolors are not only a translation of what I see, but more importantly, an expression of how I choose to view the world. 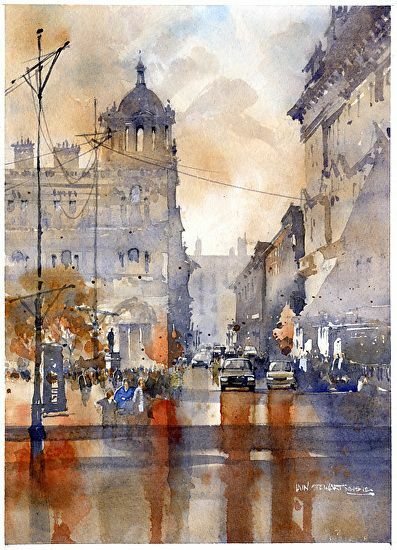 ​Explore the medium of watercolor in a relaxing and creative environment. 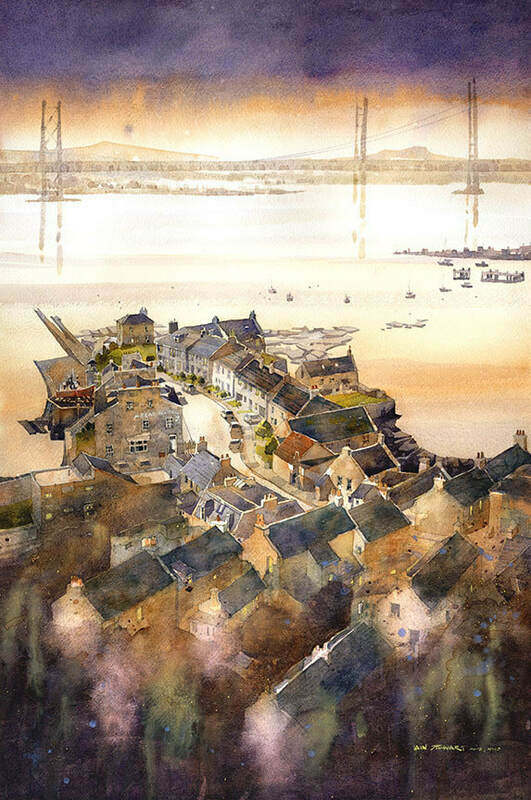 Iain Stewart's, sole focus will be bringing your creativity to light and aiding you in dispelling the myths of the difficulties of painting in this wonderful medium. 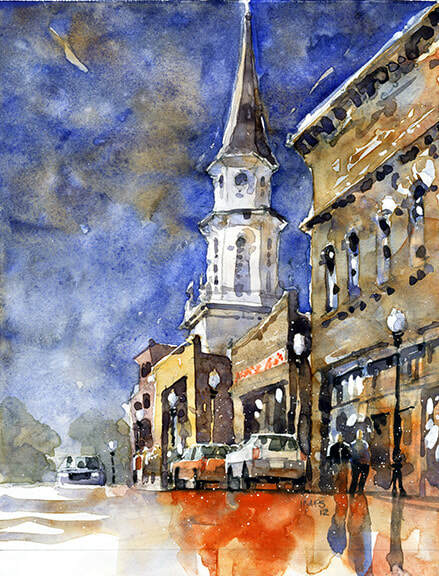 Given the right encouragement and understanding of the basic fundamentals, watercolor is a creative outlet unmatched for its ease of use, cost of materials, and pure enjoyment of artistic expression. 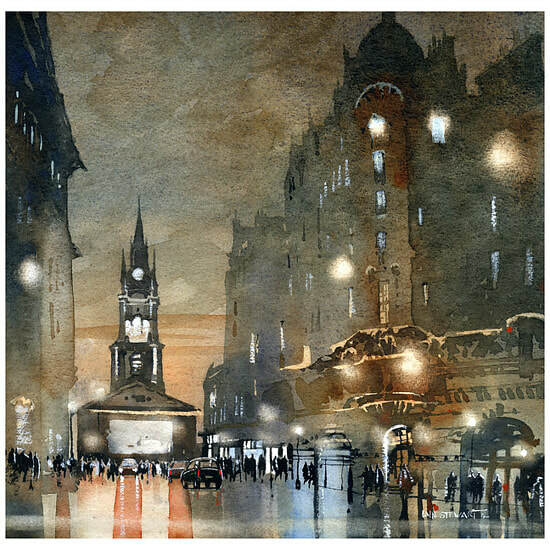 ​Through demonstration, thoughtful critique, and lessons learned over a long painting career Iain will help you understand how to prepare for and anticipate the challenges that painting in watercolor presents. 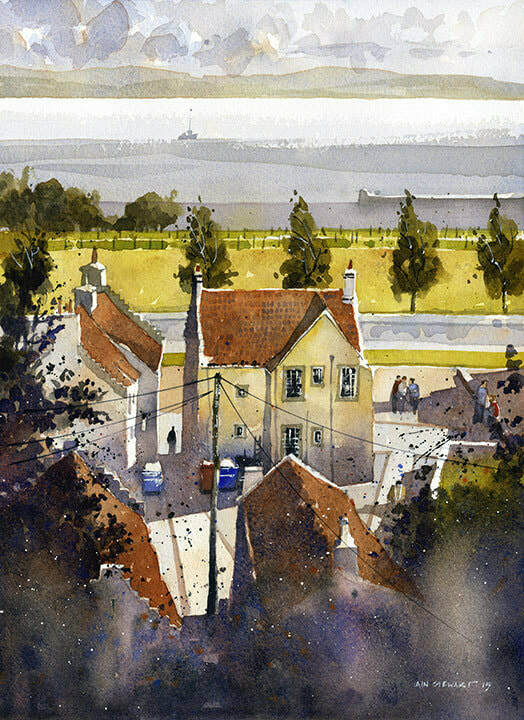 By guiding you through his process which relies on simplification of subject through exploratory sketching and value studies Iain will demonstrate how to create a road map, that if followed, will greatly improve your painting. 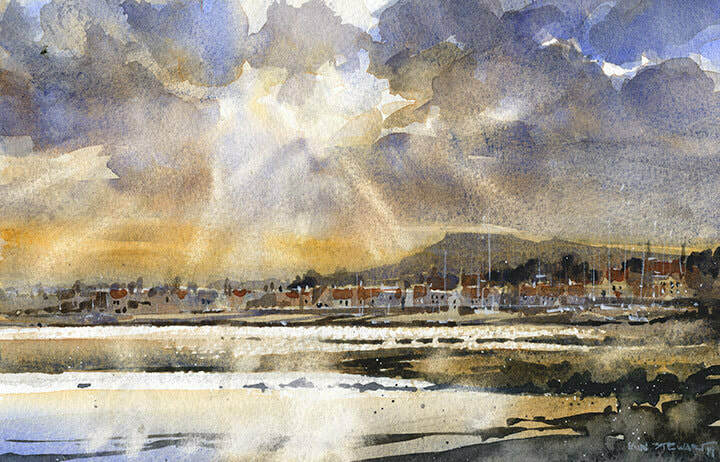 ​Iain teaches workshops both en plein air and in a traditional studio setting. 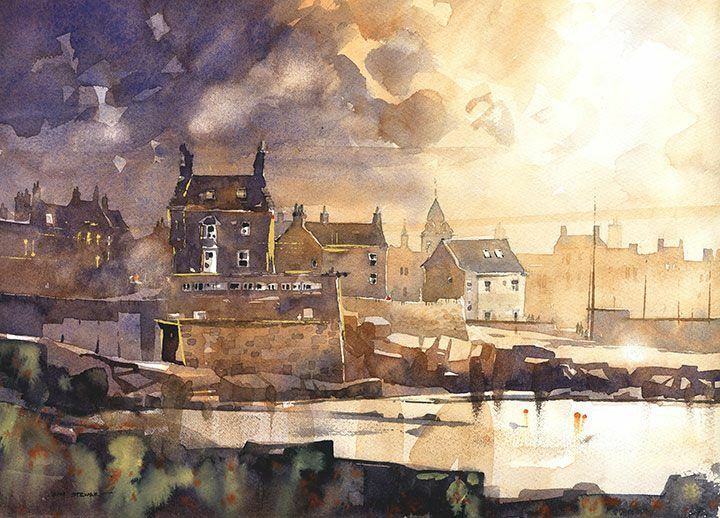 In both settings his purpose is to provide you with a repeatable process involving carefully planned steps that you can use for painting any subject. 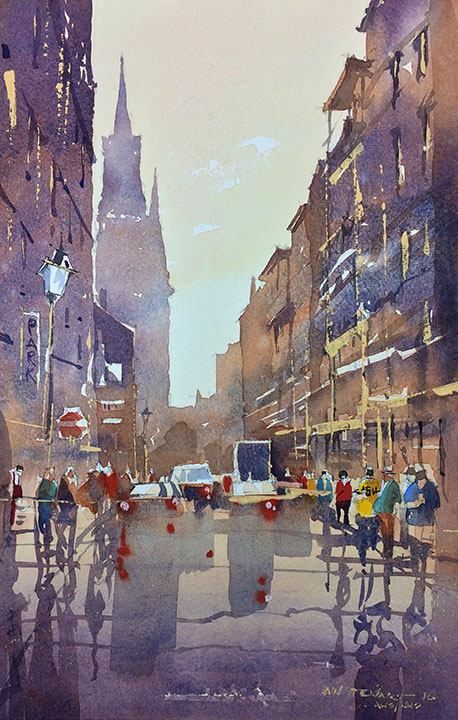 Students will follow Iain in group demonstrations from photographs provided by Iain or life - more experienced painters are encouraged to work from their own photography. The class setting is very relaxed and accommodating to all quite often with a broad mix of experience and skill levels represented. Most importantly, Iain allows as much time as possible for one on one instruction and critique. After all a workshop should focus on the student and not how well the instructor can paint. In the end it's about you and your experience and whether it will help you to continue on your artistic journey. 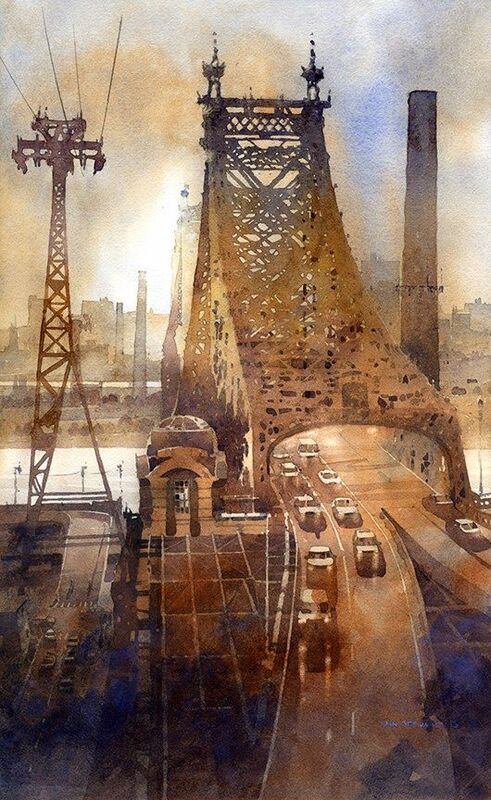 ​“Behind all good paintings there is the initial spark of inspiration and excitement. Every artist has a different approach to working from that idea to something tangible. At times that vision is realized and, sadly, quite often it is not. Not to fear. Our mistakes teach us more about where that vision was lost and how to fix it than any piece that is successful. There is a simple tool, that if used with regularity, will begin habits that will change the way you approach your work and see the world in ways you cannot imagine. It’s often overlooked and underused. In short your sketchbook. There is no other tool at your disposal better suited to allow you to explore your ideas with abandon and a carefree attitude than a sketch. A handling charge of USD150 per person per course will be levied on all cancellations. After the deposit is paid the remaining balance is due 3 months prior to the workshop date. In addition, if you have to cancel four to eight weeks before the workshop, a charge of 40% of the total price is payable; at two to four weeks, 60%; at one to two weeks, 80%; at less than one week, 90%. We reserve the right to cancel any workshop at one month notice and provide you with a full refund.